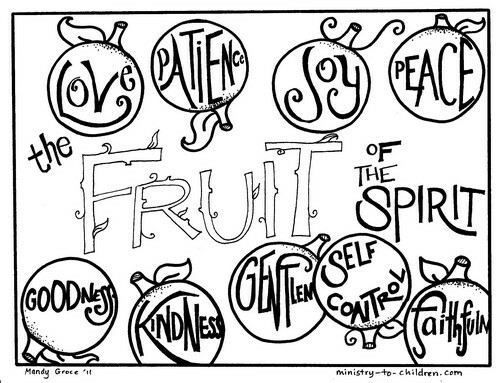 Download our free “Fruit of the Spirit” printable color book using the link below. If you prefer, you can scroll down and select each page individually. This coloring book attempts to illustrated the bible teaching for kids using contemporary scenes related to Galatians 5:22-23. Print out this Coloring Page about Love for your kids. It shows two boys on the playground with arms around the shoulders. This highlights the spiritual fruit of love and good relationships. As children mature spiritually, they are more able to show the character of Jesus in their relationships. Like all these sheets, you have our permission to copy them for school, home, or church. Our writers have created a Love Bible lesson that can be used with this sheet. This joy coloring page shows a young family rejoicing together while the mother holds a new baby. This illustration will help kids to understand the meaning of joy and look forward to the greatest joy when we experience the presence of Christ in Heaven. As kids grow spiritually, they can better appreciate the real joys in life. PDF and jpeg image downloads available. You might also enjoy the Joy Bible lesson that goes with this illustration. The next in this series is this peace coloring page. It shows a young girl watching a thunderstorm outside her window. This highlights the real impact that God’s Peace can have in practical situations. As kids grow spiritually, they have new courage to face the scary times in life. Children will better understand how the Bible relates to their life. Don’t miss our peace Bible lesson that corresponds with this printable. This patience coloring page shows two sisters playing with blocks. The older sister is demonstrating patience in allowing the younger sibling to play along, even if she breaks down the structures. This is a quality we can identify and encourage in children as they progress in spiritual maturity. This picture would be a helpful discussion starter for kids about the topic of patience. Kara Jenkins has written a simple patience Bible lesson to accompany his sheet. 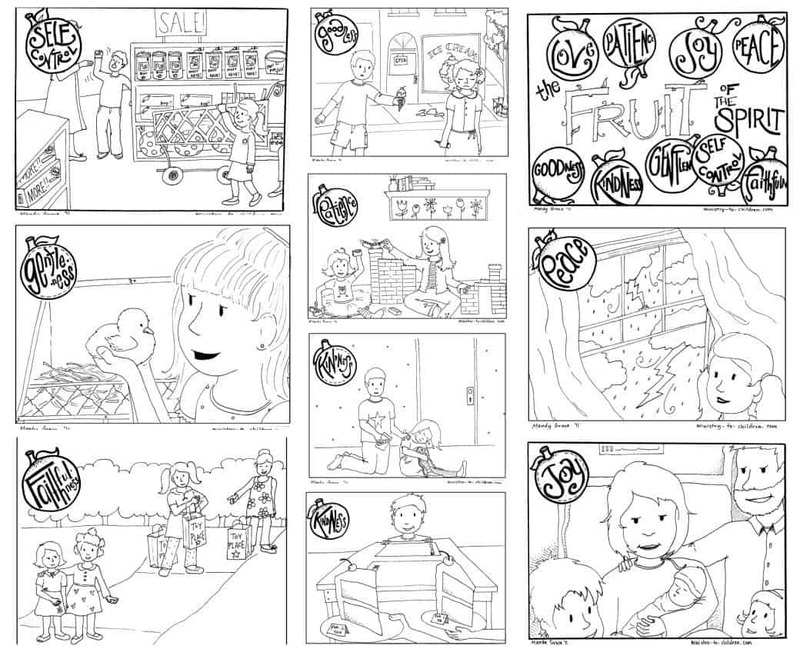 For the kindness coloring pages, Many decided to create two different options. One picture has a boy sharing a slice of cake. The other shows a boy being kind to a younger girl (maybe sister) who has hurt her leg. In both illustrations you can see that kindness means thinking of other people’s needs and wants before your own. For children, this is an excellent sign of spiritual growth in their lives. They begin to think of the interests of others. Bible lesson plan about kindness coming soon. Here is our goodness coloring page. The goal in this illustration is to show a real situation where a child could demonstrate the spiritual quality of goodness. This picture has a boy giving away his ice cream to comfort another child who has dropped their own. This kind of sympathy and good action is evidence of spiritual growth in the life of a young person. Use this page to start conversations about other ways to show goodness. Here is the Goodness Bible lesson that goes with the sheet. This faithfulness coloring page depicts a concept that can be difficult for kids to understand. As we grow spiritually we take on more of the character of Jesus. In this illustration, a girl is sharing her material blessings (toys) with another child who does not have much. This demonstrates she is has integrity with her possessions, avoiding a greedy attitude. The child is faithful to use what God has given her in ways that bring honor to God. We also have a Faithfulness Bible lesson that goes with this sheet. The gentleness coloring page shows a young girl carefully holding a baby bird. This image would be a great conversation piece about what it means to be gentle in our actions, words, and attitudes. You could share stories about Jesus when he showed gentleness to others. This is a personality trait that God builds into our lives through the Spirit as we grow in maturing. Being gentle is a quality we all would love to see grow in the hearts of children. 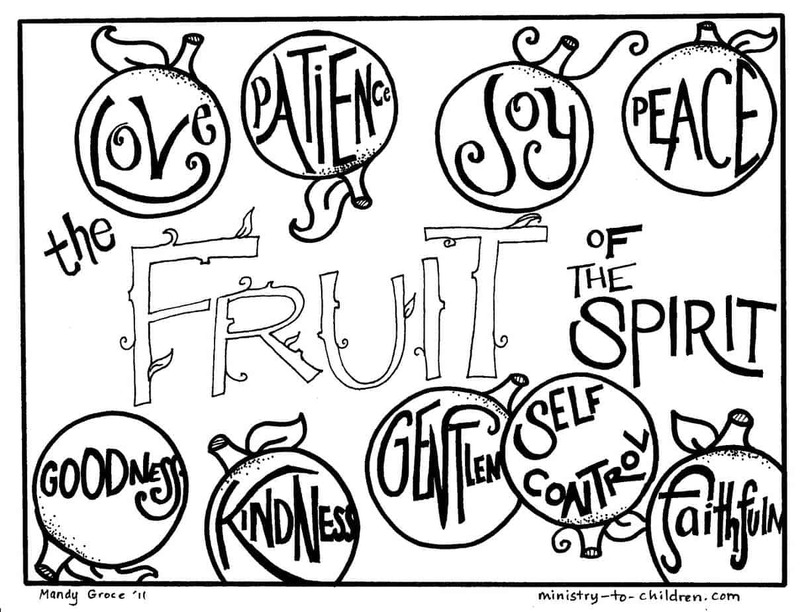 You may also like our free Bible lesson on Gentleness to accompany this coloring sheet. This self-control coloring page illustrates in a contemporary setting what it means for a child to demonstrate self-control. The scene is a store with children shopping alongside their parents. One child is throwing a fit while the other shows restraint. This type of self-control is evidence of God’s grace and spiritual growth in their lives. We also have uploaded a lesson plan about self-control. Thanks so much for your amazing website and also the email. It is easy to become discouraged when there are few willing workers in this ministry – especially when the church is small.Your resources are great and offer a good selection of resources, that make the task less daunting for others to undertake. Thank you so much for the lessons and coloring materials that you share to your website. It is easy and helpful to share this in my Sunday school class. Thank you so much for your thoughtfulness. The children in our church Throne of God Ministries Lagos – Nigeria , have benefited greatly from this website and email. Thank you for your time, energy and love. Sincerely yours Ezimah May Mrs. Thanks for making this awesome resources free. It is hard to find free sites now a days. Thanks for sharing. Your ministry is a blessing to us all. May God continue to shine his Blessings upon you. Thank you so much – may God bless you for your generosity. you’ve been a huge help to us in australia! So thankful for this website. You help our kids’ ministry teachers to provide effective lessons in the church. Keep it up and bring in more activities. Thank you so much, I can’t draw and my creche children love colouring. Thanks for the positive feedback. We’re working to make our illustrations more diverse (an honest oversight since the illustrator has several children of color in her own family) Here are a few samples. Thanks for your patience and for loving God’s kids!!! Thank you for sharing these! I’m a new teacher and these are great ideas to start building. Thank you so much for the articles. Will be sharing the same with kids tomorrow. God bless you. Tony Kummer (Editor) reviewed & updated this page on : September 9, 2015 at 12:10 pm. All our content is peer reviewed by our readers, simply leave a comment on any post suggest an update.